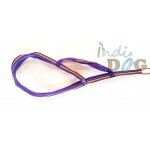 The Houdini harness is a super safe version of the verso harness. Featuring an extra 'belly strap.. 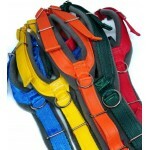 The Neo Harness is our basic across body harness, with fleece lining, an adjustable girth and gra.. 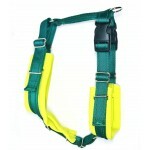 The Neo Harness is our basic across body harness, with neoprene lining, an adjustable girth and g..
A semi-adjustable harness with padded neck and chest straps. Padded parts are non-adjustable so p.. 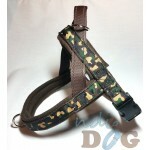 The Neo Harness is our basic across body harness, with neoprene lining, an adjustable girth ..
Made from quality 25mm cushion webbing with polar fleece padding, our x-back harnesses are comfor..